Launched only in 2017, GunsBet casino quickly became one of the most popluar casinos in Europe and especially between Australian casino players. Direx NV which operates Gunsbet, also runs other respected brands, such as BitStarz and Loki. With years of experience under their belt, GunsBet staff will take good care of you. You may be lured in at first by a large number of available software developers and games. However, upon registering with the website, the number drops for Australian players. That is due to the online gambling situation in AUS as many software providers do not allow real money play for Aussies. But still you have more than 300 games to choose from. The orange-grey colour choice and the cowboy theme looks quite distinctive, helping GunsBet stand out in this saturated market. But while some elements are different, the layout is the same as every other modern casino. Large blocks that are easy to tap on a touch screen and a mobile-first design. Desktop users do not have to worry, as GunsBet is easy to navigate with a mouse as well. Mobile players should also keep in mind that some older titles will not be available to them. The casino commits to protecting the data of its players, providing secure services and taking all reasonable precautions. However, we were unable to find any information on exactly how GunsBet actually does this. 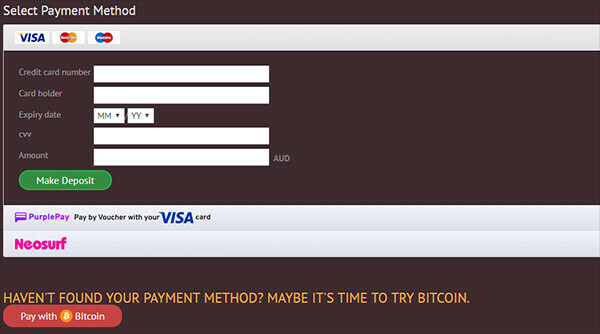 The payment methods available to Aussie gamblers are decent, but they could be much better. You have active promotions for both new players and existing customers. Newbies have to deposit at least AU$30 to be eligible for the first deposit bonus. Gamblers get a 100% match bonus with the maximum being set at AU$150. In order to unlock the bonus money for a withdrawal, players have to meet the wagering requirement of 50x. You also get 100 free spins which are split into 20 extra turns each day. Existing customers get a weaker version of this every Friday. Again, the minimum deposit is AU$30, but the bonus amount only reaches 55% of a deposit. The maximum bonus amount and wagering requirement are all the same. Spending real money or Bitcoin on pokies builds complimentary points. You get one point for every AU$140 you spend. The more points you have, the higher your casino rank, which comes with some additional bonuses. Like most modern casinos, GunsBet is instant-play ready. That means you do not have to download any additional software to run the games. Simply open the browser on your device, open the casino and play to your heart’s content. For Australian players, the total number of available games is lower – 325. The pickings are even slimmer than they were with MegaWins. Here, we have only a few providers, with the most notable being Betsoft, Spinomenal and Platipus. Of those 300+ titles, the vast majority are video slots and then table games and live casino titles. With only five providers, we have only 252 pokies, a major downgrade compared to the regular website. Betsoft is really the only major developer available for real money play. Slots with progressive jackpots have their own section, allowing you to chase after the increasing prize with ease. Tapping or mousing over a pokie with a progressive jackpot will show the size of the jackpot. This display shows up in the same position where regular slots have the ‘Play for Fun’ button. 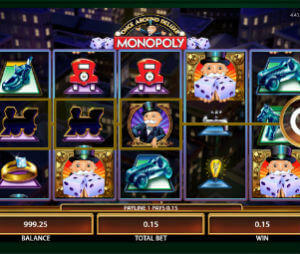 As a result, you cannot play demo progressive jackpot games before committing actual money. The vast majority of table games are provided by BGaming. Three Roulette tables, a few Poker titles, Pontoon, Sic-Bo and Rocket Dice. There are also three Blackjack games, two of which were provided by Platipus. There are no Baccarat titles available for Aussie players. The live versions of table games are actually more numerous than the ones you play by yourself. Even so, regular table games had more diversity than live casino titles. Blackjack is always a fun experience, but we never saw so much Blackjack in a single space. Although to be fair to the casino, they also provide a Dream Catcher, Punto Banco and quite a few live Roulette games. Another weird downgrade from MegaWins is the absence of any arcade games. We do enjoy occasionally playing these as a way to unwind, so their absence was sorely missed. Usually, newer casinos improve on their older counterparts, but GunsBet seems to follow its own rules. Now, EcoPayz is no longer supported for deposits from Australia. Instead, you can only deposit using Visa, Maestro, MasterCard, PurplePay or Neosurf. Alternatively, you can also take the plunge and use Bitcoin instead. A minimum deposit of AU$15 has been imposed for both debit cards and NeoSurf. Gamblers using PurplePay have their minimum deposit increased to AU$15.95. One thing GunsBet did upgrade over its predecessor is the number of currencies they support. A minimum withdrawal from your gaming account is limited to AU$50. The daily withdrawal limit is set to AU$6,000. The time it takes to process a withdrawal is between 0 to 24 hours. An inactive account will be subject to a monthly administrative fee worth the AUD equivalent of €10. A gambler’s account is deemed inactive if it has not been logged in or out of in the last 12 months. The orange-grey look can be a mixed bag. It looks cool in certain circumstances. In others, it can be a bit of an eye-sore. As an example, open the T&C page and read the white text set on an orange background. It tires the eyes out quickly. We do like the inclusion of filters for providers and the smart search function. After trying out the casino for a little while, we cannot help but feel that it simply is not worth it for Australian gamblers. The number of available games is rather low and we are left with B-list providers. We have nothing against BGaming or Platipus, but they simply are not NetEnt or NYX Gaming.